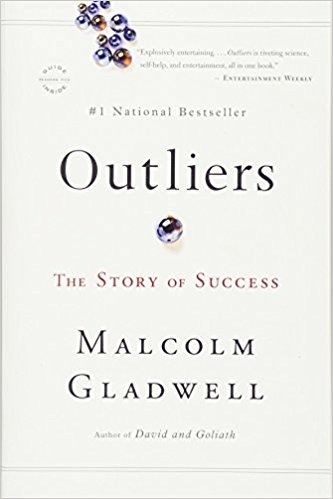 Outliers: The Story of Success (©2008, Little Brown: New York, NY) is Malcolm Gladwell’s third mega best seller after The Tipping Point and Blink, both of which are summarized here. Gladwell looks at many notable situations where people or populations stand out from the crowd. He finds that circumstances and effort are more important than talent. 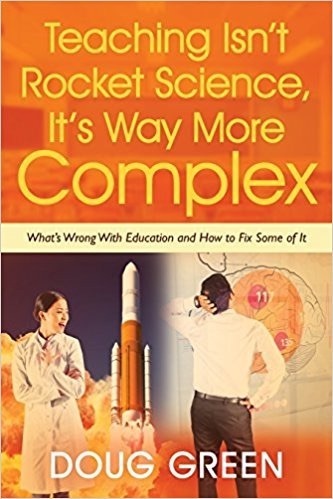 There are many lessons here for educators and parents. Roseto is a town in Pennsylvania populated by immigrants from a village in Italy. Although the residents do not have a healthy diet or lifestyle, they do have a very low incidence of heart disease. The entire town is an outlier in this respect. After a great deal of study, it was determined that it was the supportive town culture that helps keep the residents so healthy. A study of birthdays for stars in hockey, baseball, and soccer shows that players born earlier in the year are more likely to stand out and qualify for better coaching and more playing time. At a young age there is a significant advantage to being born earlier in the year of eligibility. In preadolescence, a twelve-month gap in age represents an enormous difference in physical and mental maturity. The birth order effect also operates in schools where the older students in a grade level tend to do better and get placed in higher ability groups. Older children scored up to 12 percentile points higher on the Trends in International Mathematics and Science Study (TIMSS). Teachers seem to sometimes confuse maturity with ability. Schools could put all the students born in the first quarter of the year in the same class and do the same with children born in other parts of the year of eligibility. As it is, many educated parents hold their kids back to insure that they will be older than their classmates which gives them a better chance in education and school sports that are based on grade level rather than age. Psychological studies have demonstrated that all great artists and people with great expertise got there only after putting in at least 10,000 hours of effort or practice. Even Mozart didn’t make great music until he hit this number at the age of 21. It takes the brain this long to assimilate all that it needs to know to achieve true mastery. A club owner from Hamburg went to London looking for bands to play in this club. By pure chance he met an agent from Liverpool who booked the Beatles in his club. Unlike English gigs which seldom lasted more than an hour, the club had the Beatles play for five hours or more a night. All told they performed 270 nights in just over a year and a half. By 1964 they had performed about 1200 times. They were no good on stage when they went to Hamburg and they were very good when they came back.